German Interior Minister Thomas de Maiziere arrives for the weekly cabinet meeting at the Chancellery in Berlin, Germany, September 20, 2017. 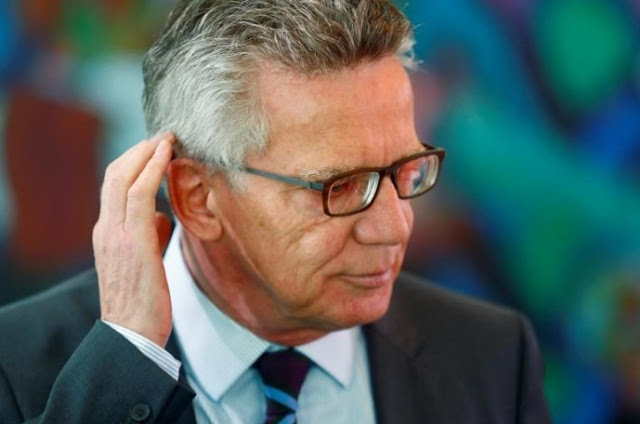 BERLIN - German Interior Minister Thomas de Maiziere has upset fellow members of Chancellor Angela Merkel’s conservative bloc by proposing that Germany introduce Muslim public holidays. She said the northern city states of Hamburg and Bremen had signed agreements with some Muslim organizations so that Muslim pupils could have such time off school and workers could take holidays for festivals important to Islam, adding that some other states did the same. German Interior Minister Thomas de Maiziere has upset fellow members of Chancellor Angela Merkel’s conservative bloc by proposing that Germany introduce Muslim public holidays. Germany is home to around 4.5 million Muslims, many of whom have a Turkish background. Many of the more than a million migrants who have arrived in the country from the Middle East and elsewhere over the last two years are also Muslims.